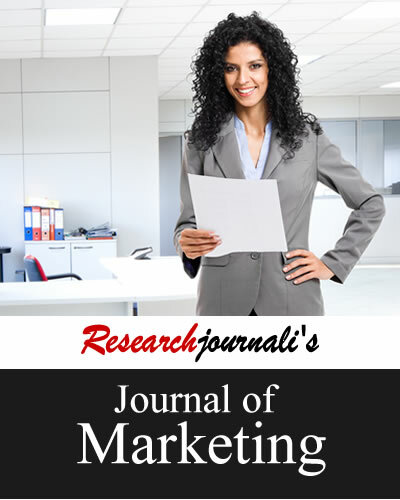 The Journal of marketing publishes research papers on all aspects of marketing management with ideas and best practice in the field of marketing. The journal aims to meet the needs marketing managers, executives, professors and researchers in marketing. Marketing Policy And Competitiveness In The Manufacturing Sector In Uganda: A Case Of Uganda Clays Ltd. Relationship Marketing Strategy And Quality Of Products In The Manufacturing Sector In Uganda: A Case Of Uganda Clays Ltd.
Researchjournali's Journal Of Marketing (RJOM) publishes research papers on all aspects of marketing management with ideas and best practice in the field of marketing as a whole. The journal aims to meet the needs audience comprising marketing managers, executives, senior managers, professors and researchers in the subject of marketing. And it encourages good practice in marketing and new research for better understanding of marketing theories, processes and contribution of marketing to the growth of organization. The journal covers following topics related to marketing. ResearchBib, Electronic Journals Library(EZB), getCited and more..